The 2009 Brunello di Montalcino Montosoli pays great homage to the aromatic nuances inherent to Sangiovese: pressed rose and violet, berry fruit and warm earth all capped by bright balsam notes that recall eucalyptus, hummus, rosemary oil and root beer. There’s a smooth note of polished river stone as well. The wine shows a steady evolution in the glass, revealing more of itself slowly and carefully. Although the palate is not as fleshed out especially when compared to more structured vintages like 2007 and 2004, this edition does an impressive job of prioritizing harmony especially in terms of the balanced acidity. This is not a Montosoli of legends, but it is a very good effort. Drink: 2017-2028. 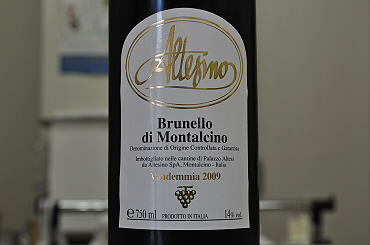 The 2007 Brunello di Montalcino Montosoli shows fabulous depth and richness from start to finish. Tobacco, cedar, licorice, new leather and spices add complexity to the fruit in this beautifully textured, expressive Montosoli. Waves of fruit build through to the finish as this intense, rich Brunello shows off its pedigree. Anticipated maturity: 2015-2027.